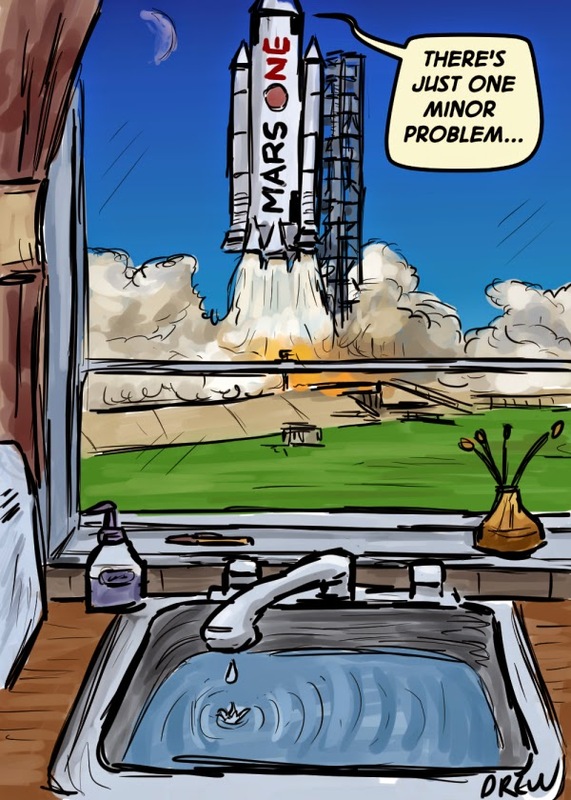 For this week's competition I did another space cartoon and threw in a Mars One reference to make it a bit topical as they released the names of 100 aspiring astronauts that are hoping to claim their one way ticket to the red planet. UPDATE: This Medium article on applicant Dr Joseph Roche's experiences details how Mars One doesn't have minor problems but major ones, which is a setback for anyone hoping to see some progress on human Mars exploration. Ok so maybe Samsung Smart TVs are recording and transmitting everything they hear to various parties but there must be a benefit right? Oh and the BBC is reporting that some that voice data being uploaded is potentially unencrypted as well so don't worry.